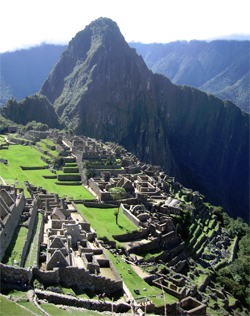 Experience the mystery and excitement of Peru. Appreciate the richness of Peruvian culture as you walk through the land of the Incas, travel into the Andes to one of the world's highest lakes. Satisfy your taste for adventure by train, plane or boat, whether it be observing indigenous people groups, watching a colony of Peruvian boobies or flying over the ancient geoglyphs in the Nazca desert. To book call us at: 1-800-842-6943, or email us at: mytravel@platinumholidays.com. Board your flight for Lima, Peru. Arrive in Peru's capital city and check in to your hotel. Overnight in Lima. 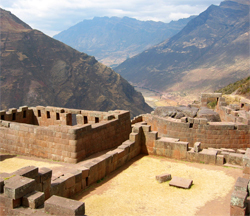 Catch a flight to Cusco, the historic capital of the Inca empire, and visit the Pisac Indian Market and the ruins of Ollantaytambo, a stonghold for the Inca resistance during the time of the Spanish conquest. Continue on to Yucay, in the heart of Sacred Valley, close to Machu Picchu. Overnight in Yucay. Breakfast and lunch included. Board the Vistadome train to ride through the mountains to Aguas Calientes where a shuttle will take you the rest of the way to Machu Picchu, an Inca site from the 15th century located along a mountain ridge above the Urubamba Valley 7,900 ft. above sea level. 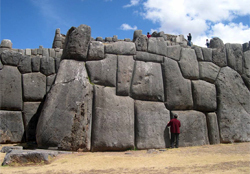 Unknown to the Spanish as: "Lost City of the Incas" has been named one of the New Seven Wonders of the World. Overnight in Machu Picchu. Breakfast, lunch and dinner included. Use your free time in Machu Picchu at the foot of the citadel to explore before boarding the scenic train in Aguas Calientes and returning to Cusco, the oldest continuously inhabited city in South America. Overnight in Cusco. Breakfast included. Take a city tour to see the Cathedral of Santo Domingo, the Church of La Compania on the Plaza de Armas and the 12 sided stone, a marvel of ancient Inca stone masonry and the old city streets. Overnight in Cusco. Breakfast included. 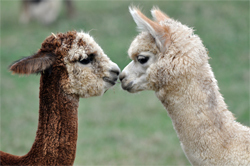 Drink in the panorama of the highlands aboard the Andean Explorer train as you climb to La Raya, the highest point and then gently descend on to the Andean Plains, where vicuna and alpaca graze, to the beautiful city of Puno on Lake Titicaca, Sacred Lake of the Incas. Overnight in Puno. Breakfast and lunch included. 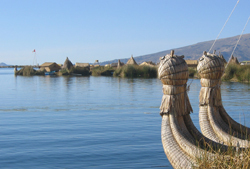 Enjoy your full day tour on Lake Titicaca, South America's largest lake, which lies between Peru and Bolivia, observing the Uros, artificial floating islands made of "totora" reeds. Visit Taquile island to see terracing, and ruins predating the Incas, as well as a community based on agricultural collectivism and Inca values, with no cars and very little electricity. Overnight in Puno. Breakfast and dinner included. Transfer to the airport and flight back to Lima. Transfer to your hotel. The rest of the day is at your leisure. Overnight in Lima. Breakfast included. Visit the beautiful Plaza de Armas, the Government Palace, Town Hall, and the Palace of the Archobishop. Learn about Lima's history through it's architecture. Explore the San Francisco Monastery and the modern, upscale area of San Isidro, boasting 34 embassies and consulates, an artist colony, and Lima's financial district as well as a pre-Inca temple used for concerts and exhibitions. 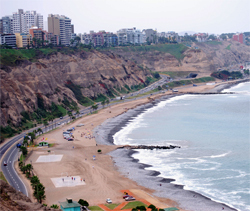 Venture into Miraflores to see beautiful views of the Pacific Ocean. Overnight in Lima. Breakfast included. Early in the morning transfer to Paracas, a wildlife photographer's dream destination, continuing to Pisco, which was nearly destroyed in a 2007 earthquake to catch a scenic flight over the mysterious Nazca Lines traced into the earth between 500 BC and 500 AD. Overnight in Paracas. Breakfast included. 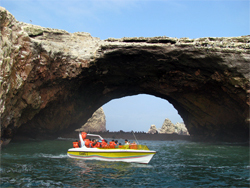 Take a boat tour from San Martin Port to Ballestas Islands, the Galapagos of Peru, home to many sea birds, penguins, sea lions. From the boat you can see the enigmatic Candelabro carved in the sand. 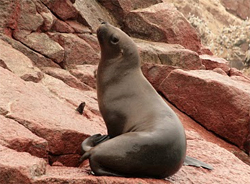 You will have a wonderful opportunity to watch Inca terns, pelicans, Peruvian boobies, cormorants and Humboldt penguins in Paracas Bay, the gateway to the Paracas National Reserve, famous for its sand beaches and marine wildlife. In the afternoon, travel back to Lima airport to catch your flight home.